To view our Portfolio of Custom Apparel for Groups, just click on the project names to the left. 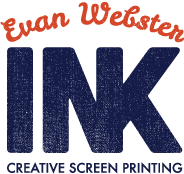 Organizations of all types work with Evan Webster Ink to express themselves through high-quality custom screen printed apparel. Everyone (including us!) loves our unique approach that focuses on low-hassle, long-term mutual growth. We should work together if you believe that apparel should be beautiful and enduring. A great tee shirt communicates not only through its design but also its materials and fit, and it is worn proudly for years. A poor tee shirt, in contrast, frequently winds up in the back of the closet, and is a lost opportunity for the seller, the purchaser, and the planet. 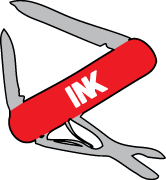 Evan Webster Ink has produced custom artisanal apparel for a wide variety of groups from the local Charlotte, Vermont Library to Harvard University. Just click on the project names listed to the left for selected collaborations.